Are you thinking about getting a tattoo but are not ready for the long term commitment? Or you really want one but are concerned about the pain involved with the process? For once, you don't have to worry about any of that. This removable wall tattoo from WALLTAT can be both permanent and removable and involves no pain. 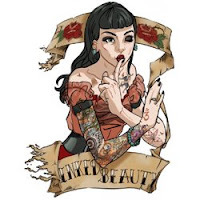 The Inked Beauty Wall Decal was just added to the new collection and is already creating quite a buzz. 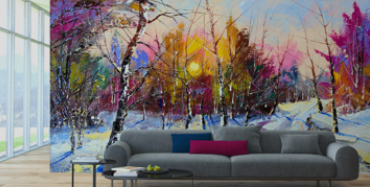 Created by French Artist: Chaf it is sure to give your interior skin the attitude you demand. It is full of color and detail that is sure to impress ink lovers everywhere. Did I mention... NO PAIN or PAINT!